In the Autumn of 1994 Philips unveiled a radically new kind of light source, and announced the first successful design of metal halide lamp employing a ceramic arc tube. The first products to market were the 35W and 70W single ended types, joined shortly afterwards by a 150W rating. Double ended types were soon also made available. 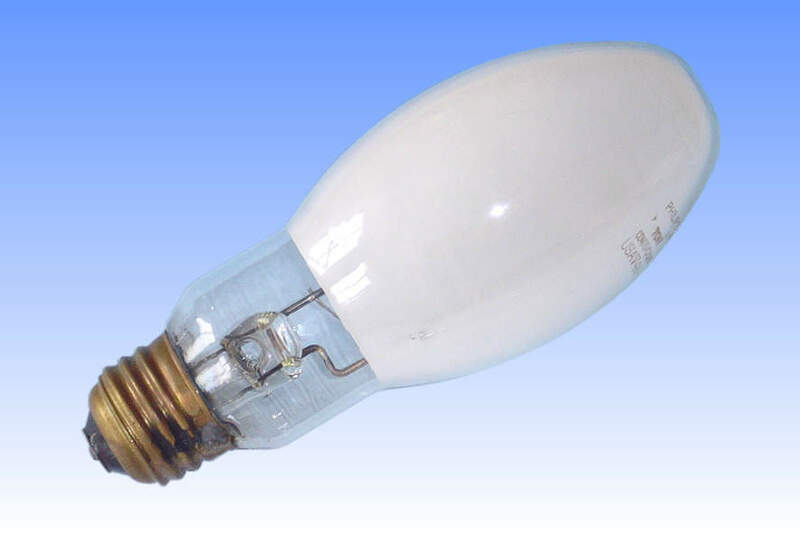 For the American market, where the newer metal halide lamps of compact dimensions had not yet become popular, it was required to offer this retrofit lamp having a large ellipsoidal outer jacket. The arc tube inside is substantially the same as for the European quartz jacketed types, modified slightly to account for the different temperature profile in this outer jacket. A major difference however, is the lack of the mildly radioactive Krypton-85 component in the gas filling of the arc tube, due to its prohibition in the American market. Without this ingredient it is very much more difficult to strike the arc tube. An auxiliary starting device is therefore employed, this taking the form of a UV-enhancer glowbottle. This single electrode device is situated alongside one end of the arc tube, its internal electrode being connected to the opposite end of the arc tube. When energised, before the arc tube strikes, the electric field around the UV-enhancer is sufficient to cause it's own gas filling to break down. A brief pulse of ultraviolet radiation is generated, which is transmitted through the adjacent ceramic discharge tube, and the high energy photons facilitate ionisation of the higher pressure argon filling in the main arc tube. Ignition can thus be successfully accomplished on standard circuits without the need for very high voltage external ignition aids.